As we prepare to embark on a new school year, I'd like to share with all of you my goals for Sanborn Regional High School. It is my hope that these goals will focus our work on making Sanborn one of the top 10% schools in the State. I welcome your feedback: 1. By June 2011, students will demonstrate academic growth as follows: 70% of students in grades 9 and 10 will meet or exceed their target growth rates in reading, math, and language usage as measured by the Spring 2011 NWEA and all students in grade 11 will demonstrate 10% improvement in reading, writing, mathematics, and science on the Grade 11 NECAP. 2. By June 2011, the school will expand upon the use and types of communication tools that provide timely and relevant information to students, parents, and the community on a bi-weekly basis. 3. By June 2011, all staff will make use of assessment and grading practices that measure student learning through the mastery of school-wide and course-based competencies in all courses. 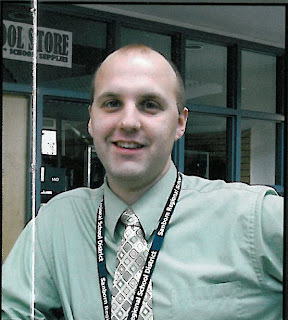 Michael Turmelle joins Sanborn as our new Assistant Principal / Curriculum Director. Prior to Sanborn, Michael spent many years at John Stark Regional High School in Weare, NH. He began as a Social Studies teacher and, over time, worked his way up to Principal, a position he held for the past three years. He is excited about the opportunity to move to the Seacoast area and work for the Sanborn community. For the 2010-2011 school year, Michael will handle all student issues for grades 10 and 11. Ann Hadwen is not new to Sanborn but she is new to her assignment - assistant principal. Ann has worked for Sanborn for a number of years, both as an 8th grade and 9th grade social studies teacher. Ann will be responsible for all student issues in grade 9. I will oversee all student issues for grade 12.